We needed a resolute and adaptable POS, retail management and warehouse management system. We had a pretty good idea of the features we wanted but also knew we could not possibly predict what we would need over-time as we went about our business given evolving and ever changing market and trade demands. Numerous web searches and countless back and forth e-mails and webinars with POS and ERP providers across the globe over a period of one year led us to the conclusion that to even come close to what we wanted – we would have to settle for an off-the shelf product, which product would satisfy some but not all and, in many instances not even our most pressing requirements. In addition, almost all the companies that met minimum requirements (including experience and accessibility), were either very expensive (read designed for larger more established outfits), or meant for mass consumption thus unyielding and perhaps more importantly, were too far removed from it all to lend an ear and afford us customization. This is without a doubt the most important question we asked all the POS providers, “what if we require customization”; and we’re not just talking a few modifications and tweaks, we’re talking modifying a four door saloon to a two door coupe, not easy and certainly not all have the mindset and resolve to do it. Coming across Aralco elicited mixed feelings, on the one hand Aralco seemed to address many of our concerns but we were unsure how given the space and time difference between Canada, Aralco’s domicile, and Kenya our location, assistance and any input required would work. I decided to pay Aralco a visit and was totally taken by the team and ease with which any query I had was handled. So What’s Great About Aralco? Auto Purchase Order system (forget min/max and work on real time stock modelling, based on, amongst other criteria, re-order duration, inventory required per period and stock-on-hand). Amazing! Multiple Product Classification; as many groupings and classifications as your products or industry needs. The power here is when it comes to segregating products, for instance in a promotion. We have a range of brake pads made by the same manufacturer but differentiated along longevity and braking efficiency, thus, Premium, Normal and Economy. Rather than having a singular, homogeneous descriptor ‘brake pads’ we make use of Aralco’s Product Grouping to fine tune the differentiation of the brake pads along the aforementioned manufacturer defined groups and, add in-house defined groupings such as SUV, Sedan, Pick-up. We can then offer a promotion that targets only Normal, SUV brake pads to the exclusion of all the other groupings. The possibilities offered by this feature are limitless and only inhibited by one’s imagination. Product Support: A great product with poor support is of no value. Team Aralco are on point. If you cannot make demands of your ERP/POS provider, or polite and non-resolving responses are all you get, it’s time to leave. We’re in Kenya, Aralco is in Canada; other than the latency in time, I have never felt the time or distance constraint, Aralco responds fast and in a receptive manner. I harass them to no end and still get results. Customisation: This is the juicy bit. We’ve been listened to, have asked for some cranky customisations that (in hind sight) wouldn’t have worked, been guided and received very important customisations that have made serious impact on our operations. If nothing else, customisation is the one sore-point that can be a deal breaker for even the most enterprising solution. We knew that if our ERP cannot/does not lend itself to customisation, a time will come when we’ll be tearing our hair out for want of an all-important mode. Luckily for us, we have Aralco. 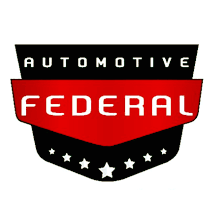 Federal Automotive is a supply chain management entity. Our mission, captured in our mantra “Automotive Parts Supply Chain Management” sets our approach to business; we partner with OEM (Original Equipment Manufacturer), aftermarket automotive parts manufacturers. Specifically, we engage in the acquisition, marketing and distribution of automotive parts, with an emphasis on the management of supplier to consumer interaction dynamics. We are the authorised distributors of AISIN, ADVICS, DENSO, COOLGEAR and BANDO aftermarket parts.